Norway, is not only the country of Edvard Grieg at one end of the musical spectrum and Jan Garbarek at the other. Nor is it simply the land of the Sami. Norway is also the country where the ever-so-talented guitarist was born. I say “born” because it might seem that being born in Bergen, Norway was all it was fated to be. From a very young age, Steinar Aadnekvam has been an itinerant traveller – first with his travelling parents, and then when music took hold of him, he travelled from Brasil to Bombay and almost everywhere in between, learning the music as he ventured on his tireless musical quest. The story ends rather remarkably, as remarkably it seems, as the music Steinar Aadnekvam makes. Epithets like “blithe”, “happy”, “lyrical” and “enchanting” come to mind immediately. And behind impressive accomplishments of technique is something more: a mastery of letter and spirit that cogently demonstrates the depth and understanding and supremacy in ensemble playing. Steinar Aadnekvam is extremely careful about that. Instrumental balance is always carefully adjusted, the double bass, for instance, offering a distinct but not intrusive low line. Tempi are carefully thought out too; and the playing, always rhythmically exactas in Pixinguinha’s immortal choro “Agradecendo”. Songs and tempi are never rigid either. Instead, the music moves with an airy fleetness and meticulously controlled dynamics. The hushed pianissimo ending to a profoundly conceived andante in the ballad, “You Are My Sunshine And My Smile” is but an example of the mutations of tone colour to be experienced on this record, Freedom Tree. In these circumstances, it may be invidious to single out the guitarist, Steinar Aadnekvam, but his probing leadership cannot be overstated. His very presence enhances performers and their performances. The icing on the cake is the ingenious song entitled “Dare to Dream” Steinar Aadnekvam’s theme arranged for vocalist and ensemble. It is here that the vocalastics of Gustav Orphée Noah are truly impeccable with a nuanced performance that is also reminiscent of Stevie Wonder. There is also an inventive and captivating cameo here from the vibraphonist Mattias Ståhl. Not too far away – on “Come With Me” as a matter of fact – is one by Cecilia Linné on cello. 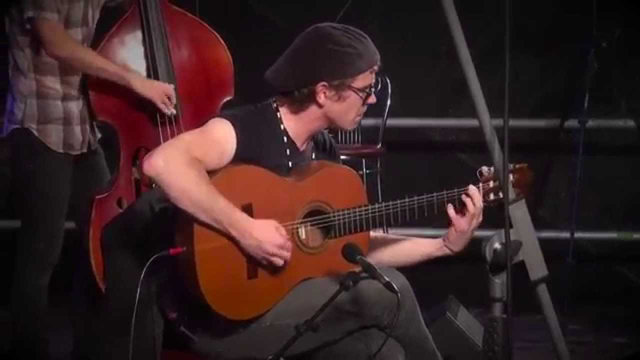 But it is “Agradecendo” towards which I lean as much for content as for the sheer virtuosity of Steinar Aadnekvam as well as the other musicians. All of their attributes form a fulfilling Brasilian piece to a most desirable disc. Track List: Cold Shower; Hillside; Viva Sagui; You Are My Sunshine And My Smile; Agradecendo; Ecology; Come With Me; Dare To Dream. 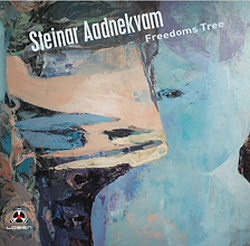 Personnel: Steinar Aadnekvam: acoustic guitar, voice and whistling (7); Jonatan Guzman: piano; Patric Thorman: bass; Deodato Siquir: drums, percussion and voice (1); Gustav Orphée Noah: lead vocals (3, 4, 8) and whistling (3); Santiago Jimenez Borges: violin (5); Mattias Ståhl: vibraphone (8); Cecilia Linné: cello (7).